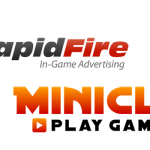 Vancouver, BC – June 18, 2014: RapidFire, the #1 in-game advertising network, announced today a key partnership with Miniclip which will bring dynamic in-game advertising (DIGA) into numerous 3D browser games developed by the online game giant. The partnership will create an entirely new revenue stream for Miniclip, and will enable media buyers to execute real-time and scalable advertising campaigns inside of various games containing RapidFire’s proprietary in-game ad technology. RapidFire’s technology, known as the Radial Network™, allows advertisements to be streamed in real-time inside of a video game’s 3D environment on objects such as billboards, hoardings, bus stops, and posters – essentially any object inside a game where a player is likely to see an advert in real life. Miniclip, the world’s largest privately owned online gaming website, has kicked off the partnership by linking the Radial Network™ to the following 3D browser games: Motocross Nitro, Turbo Racing 3, Diablo Valley Rally, Pro Kicker Frenzy, and Basketball Jam Shots. 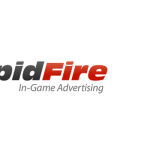 In the coming weeks, additional Miniclip games will feature RapidFire’s dynamic in-game advertising. “We’re thrilled to work with a strong partner like Miniclip, who has the ability to bring multiple game titles and millions of new players into our network,” says Jordan L. Howard, the 24 year old Founder and CEO. “Miniclip is always looking for innovative advertising technologies that fit with our games. 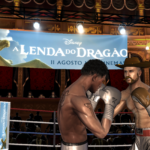 As a tier-1 game developer and publisher we have high demands when it comes to our various monetization models. In-game advertising is a solution that we think has great potential to become even more important over the next years,” says Sylvia Epaillard, Senior Advertising manager at Miniclip. Miniclip is a leading digital games and entertainment company that has developed and published over 900 games in multiple languages. With over 100 million monthly players on mobile, social media platforms, and online at www.miniclip.com. Miniclip’s mission is to let people play games together, anywhere, anytime. RapidFire operates the largest In-Game Advertising Network in the World, allowing Brands and Media Buyers to deliver real-time and scalable advertising inside of Console & Computer video games.